Change isn’t always easy. But it is inevitable. Calyx redefines managed services with a bold approach that’s better. We combine unrivaled support with secure, cloud-based technologies to deliver a transformative solution that makes your business stronger and more profitable. With Calyx, you get more than a better outcome. In fact, Calyx clients see an average 75% decrease in IT-related issues. Are you an executive seeking new ways to drive your business forward? An IT manager looking to do more with less? Calyx Framework™ is the secure, fully managed IT solution that allows you to rapidly advance your technological capabilities. All with less risk, disruption and cost. Great workplaces for top talent. Honored to be among the Northcoast’s top employers. 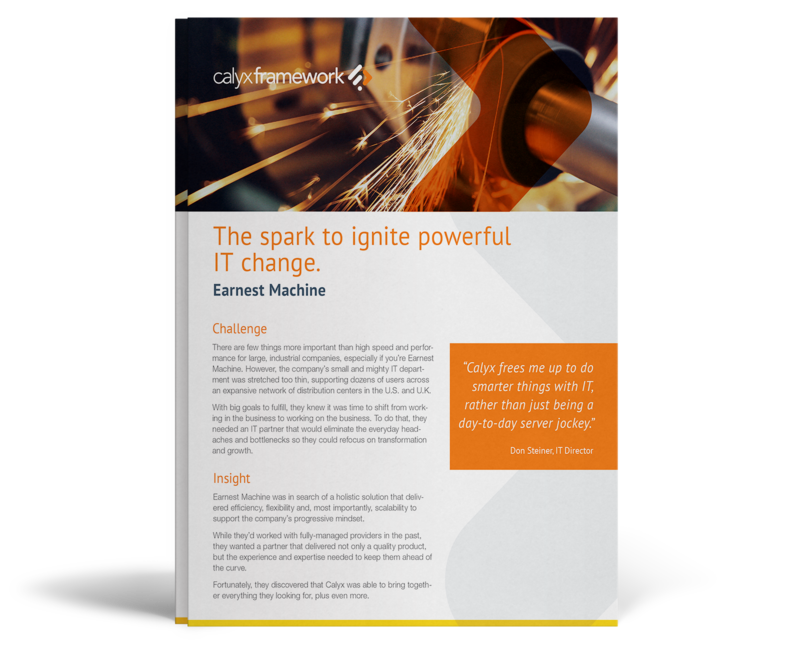 Sign up now for insights into the ever-evolving IT industry. © 2019 Calyx, Inc. All Rights Reserved.